Our prefabricated housed systems have grown in popularity throughout the year and we are excited to have more in production this winter season as well. From booster stations to boiler houses, Metropolitan’s customers are highly intrigued by the custom work we can do to accommodate their municipalities. The weather outside may be getting colder but Metropolitan’s production and fabrication shop is heating up this winter. Aside from the two Minooka, Illinois lift station buildings and the last of the six concrete water system buildings for Preston County, West Virginia expected to ship in early November, there are at least eight more buildings in submittal or at the beginning stages of fabrication this month. As winter approaches, expect a full house of pumps, controls, traffic boxes and houses taking over the warehouse. 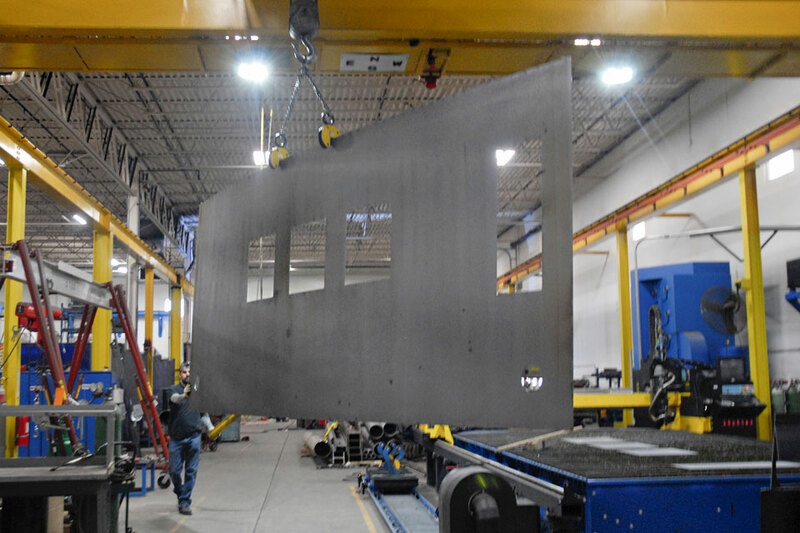 There are already so many projects going on that the two Minooka prefabricated housed systems have been in fabrication outside due to limited space in the warehouse. This is a great way for Metropolitan to end the 2014 year and with more and more projects in the submittal process, it looks like a great start to the 2015 year as well. A special thanks to our customers for their continued support and business!